The Sixers are a little past their mid-way mark in the 2018-19 NBA season and currently sit fourth in the Eastern Conference standings. This is a full assessment of the season thus far, and predictions for the future of this team. 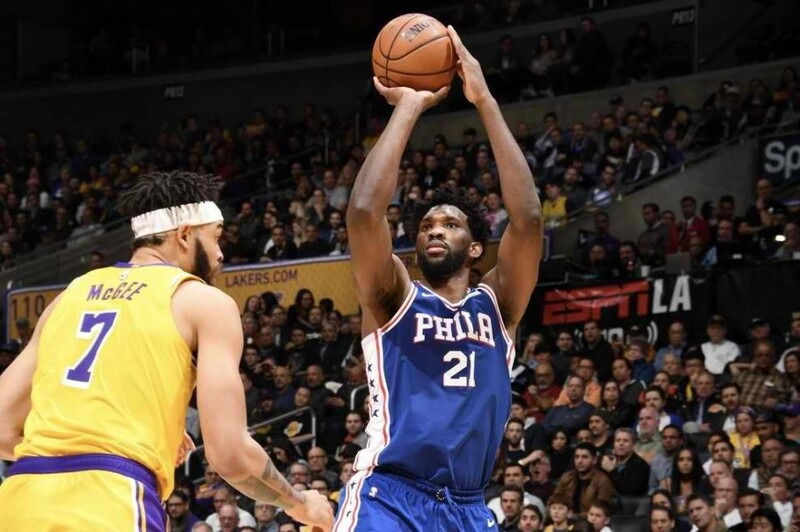 Philly has a record of 33-18 as of right now, their most recent win coming last night against the Lakers in L.A. The Sixers are currently playing in a very difficult stretch in which they are facing a lot of playoff-bound teams, which will be a real test for this team. Earlier this month, the Sixers beat the Pacers, who currently sit ahead of the Sixers as the third seed in the East. They hosted three very good Western Conference teams at home last week, losing to the Thunder by two in a game where the Sixers trailed by a lot. Then they went on to beat both the Rockets and Spurs before hitting the road. They got two huge wins against big-time teams. Injury has sparked the Sixers as of late, which impacted the outcome of their game against the Nuggets when they were without Joel Embiid and Jimmy Butler. They lost that game by 16. This brings them to the game last night, which the team got Embiid and Butler back on the floor helping the team get the big win. In the next two weeks, the Sixers will have the Warriors, Raptors, Nuggets, Lakers, and Celtics. This will prove to be a huge stretch for the team. Certainly, the addition of Butler has helped this team significantly. Embiid’s play has been stellar as always, solidifying his second starting spot in the NBA All-Star Game. Ben Simmons has been playing great too, as he is slowly incorporating some more jumpers into his game and it looks like he will be an All-Star as well. Assuming Butler will also make the All-Star Game, the Sixers will be well represented in the event. The Sixers have slowly been getting bench help from various pieces as they try to find a system that works with the new pieces they have this year. Obviously, losing Marco Belinelli and Ersan Ilyasova to free agency has negatively impacted the team and their bench production. They are also without Markelle Fultz due to his ongoing dilemma with his shoulder, as well as Robert Covington and Dario Saric, who were involved in the trade for Butler. Despite the lack of depth, their current bench has stepped up when needed. Most notably, T.J. McConnell, the back-up point guard, has been able to step up in a huge way. He has been able to hit jumpers consistently, and definitely add a new life to the court when he is out there. McConnell has arguably the most heart on the team and understands his role very well. Another player who has been a huge positive for the squad has been Landry Shamet. Shamet is a rookie out of Wichita State who has been able to hit three-pointers at a high level. He has proven that he is a valuable bench player for this team. Overall, the Sixers are playing a great brand of basketball. It is hard to lose when you have three All-Stars, but they still need to add a few veteran pieces who can come off of the bench and add to the momentum. Expect the Sixers to make some moves, starting with a potential contract offer to Corey Brewer, who has gotten two 10-day contracts from the Sixers, and has proven to be a good contributor off the bench. If Brewer and a few others can come in and do their job at a good level, then the Sixers can find themselves going deep in the playoffs. The Sixers can certainly notch the third seed in the playoffs. They are currently tied with the Pacers and with Victor Oladipo out for the year, expect the Pacers to lose a few spots in the standings. The Sixers could even climb as high as one or two, but definitely should be a lock for the third or fourth seed. The Sixers would not surprise anyone if they made it to the Eastern Conference Finals, but they would need to play lights out in a potential series against the Bucks or Raptors. Even the Celtics can give them a great series, just like last year. The Sixers could find themselves playing in the Eastern Conference Finals, and if the stars align, maybe the NBA Finals. The potential to go all the way is there, but it all has to do with team chemistry and how the Butler issue plays out. As long as the team is winning, an arising problem seems unlikely.